Right when the bad news hit the web, MakeUseOf was quick to bring our readers information and alternatives regarding the eventual closing of Google Reader Google Reader's End Is Nigh: Prepare With These Alternative RSS Readers Google Reader's End Is Nigh: Prepare With These Alternative RSS Readers Google Reader is dead. By July the Internet's premier RSS service is shutting down forever, leaving users to find a replacement on their own. If you're looking for an equivalent to Google these are just... Read More . Google Reader was my web-based RSS reader of choice and it still shocks me that they’ve come to the decision to part ways with it, but we’ve got to accept it and adjust. 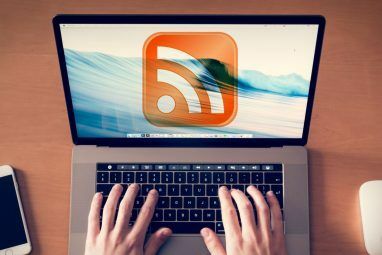 Since the news first broke, several new RSS readers have surfaced online and many of them have really taken advantage of Google Reader’s shutdown. Many advertise themselves as strict alternatives to the service, tailored specifically towards allowing you to easily transfer from Google Reader to a new service by importing your data. Leaving behind Google Reader isn’t so hard when moving on to the next service is as simple as a few keys and clicks. CommaFeed and Reedah are two services that have come up since then that offer to do just that. CommaFeed advertises itself as a no-bloat, minimalist RSS reader that strives to only show the user what they really want to see. Right off the bat, CommaFeed gets a big nod of approval from me because it actually offers for you to browse through the service as a demo without having to sign up for an account. It’s a hassle to sign up for something just to determine if you like it and would want to use it or not, and the demo really allows you to bypass that. I took a quick spin through the demo and, while it mentions that some functionality is disabled, it offers everything you’d need to be able to make the decision on if CommaFeed is an RSS reader that you’d want to use or not. Signing up for your own account is as simple as filling out the brief form. If you want to import your feeds from Google Reader, make sure you tick the box that mentions that feature. The next page of the signup screen will require that you connect CommaFeed to your Google account. Immediately after connecting your account, all of your Google Reader feeds will be imported and it’s as if you’re back on Google Reader all over again. Much like Google Reader, you can view your feed items as just a headline or as a headline with a summary beneath it. You’re able to view just your unread items, mark everything as read, sort your items in ascending or descending order by date, and even do some interesting extras like use custom CSS code to alter the design of your CommaFeed page. Subscribing to a new feed is as simple as clicking the button and pasting a feed URL. Overall, CommaFeed is one of the best alternatives to Google Reader Swim In The Sea of RSS: Curated Content Alternatives To Google Reader Swim In The Sea of RSS: Curated Content Alternatives To Google Reader Read More that I’ve ever used, and I may go as far as to say it’s even better than Google Reader because of how clean and spacious the interface is. If you’re looking for an incredibly easy way to transition away from Google’s dying RSS reader, this is one of the top options. 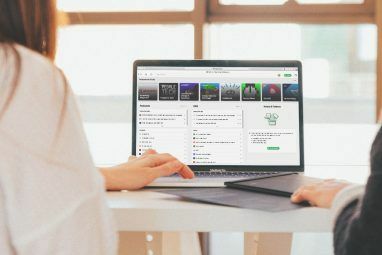 Reedah seems tailored exclusively towards previous users of Google Reader and they go out of their way to accommodate users by allowing you to not only import your Google Reader feeds, but also sync the apps that you had connected to your Google Reader with Reedah. Just as the signup process with CommaFeed went, you’ll need to log in through your Google account and allow Reedah to connect if you intend to import all of your existing Google Reader feeds. Unlike with CommaFeed though, this process takes a little more time. Your feed data must be downloaded, shown in a progress bar, before you’re given access to the Reedah interface. I believe the extra time required is simply because Reedah is more comfortable showing you your feed data all at once when it has been completely imported and synced, whereas CommaFeed imports your feeds and then slowly synchronizes everything in real-time (so all of your data isn’t immediately available). Reedah also copies your article states, meaning that if an item has been marked as read in Google Reader, it will be marked as read when it is pulled to Reedah. The interface is a lot different from both Google Reader and CommaFeed. The page is squeezed to the center of your screen which offers a little less reading space and more of a scroll-to-read style to it. By default, feed summaries are shown and your latest unread items are displayed first. Reedah features pages, accessible in a drop-down selection box on the left-hand side of the page, that allow you to manage your subscriptions, change your account settings, import your data from Google How to Download & Back Up Your Gmail & Other Google Data How to Download & Back Up Your Gmail & Other Google Data We’re storing more and more data in the cloud these days. Email, contacts, documents, photos, calendar entries - you name it, it’s on Google’s servers. But what happens when the services we rely on go... Read More Reader, and more. While the Reedah interface is nothing too special, it is exactly what it advertises itself as: an excellent alternative to Google Reader. Reedah is so close to the Google Reader experience that third-party applications designed specifically for Google Reader, such as the ones mentioned in the screenshot above, work fluidly with Reedah. Reedah offers just about everything that Google Reader brings to you, without the promise of dying within a month’s time (hopefully). It’s a respectable alternative and it can be configured in less than three minutes. With July 1st drawing nearer, Google Reader’s days are quickly ticking away. Don’t wait until all of your data that you spent so much time organizing is gone. Find an alternative (like the two mentioned in this article) and effortlessly import your data. It’ll be like Google Reader never even left you. Let me know what you think of CommaFeed and Reedah in the comments! Try out http://silverreader.com It is faster than CommaFeed and has lot of nice features. The main problem I find is that Google created the best damn RSS reader with an ecosystem and, after partially ruining it over the past two years ( 1. they ruined the social aspect of it, which I never used, but they did break a system that many people used; and 2. after the redesign last year it became much slower, still fast, but not quite as snappy as the old version), now they're killing it off. 1. The keyboard shortcuts don't quite work the same/as well. 2. The "ecosystem" was a big part of it. - other apps on iPad, Nexus 7 and S3 (these were mostly Feedly, but there are a couple of great iPad apps, which I sometimes use). Effectively, I'm considering forgetting RSS altogether, use Flipboard or Pulse (which I find to be a really inferior solution to Google Reader), read less news and more books. Comafeed is a great idea and by far the best interface but in practice it runs like crap. It's too slow to be useable. Thanks Jim for your comment - I am glad its not just me that thinks its painfully slow. After the initial promise I am now not so sure. I have my Reader and Commafeed both running at the moment - Reader shows 394 waiting while Commafeed only has 160 waiting for me so I am not convinced its picking everything up either. Oh well back to the drawing board! the same comment as Riverdance.Will miss sorely the search function now available with google reader. Comafeed looks the most promising to me. I had to cut down on my feeds to make things easier to transfer [and if I was really honest with myself, I skimmed past most things without reading them anyway and some of the news was really redundant like from the tech sites] and now I am looking for something a bit more permanent. I like feedly BUT the graphical interface even in title only mode bugs me. It doesn't have a separate login so if it forgets that I view it on android [which is often] I have to reconnect it to google reader. So what do you guys have that is like commafeed but works on android? I first saw commafeed as a self post on reddit. I guess it's that good if it's on MUO! I just wish the creator un-bootstrapped it soon. For now, it's feedly for me as it seems to be the most finished product right now. Thanks for these suggestions. I have been putting it off until the last minute as I was not convinced by Feedly. Commafeed certainly looks the part and it has been easy to import my feeds. Bit of a pain that it brings all 1081 unread whereas Reader was down to 54 - but I guess I will soon sort that out! No love for Feedly? Available on major platforms and as browser app. Working hard recreating Google Reader's API, they promise seamless migration even if you have hundreds of feeds. 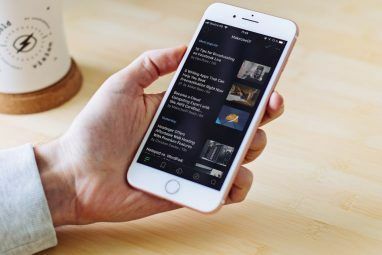 I've really been trying to give Feedly all the slack it deserves, as they are making a huge play to try to bring in the Google Reader refugees, and there is much to like about Feedly. But for my usage CommaFeed is looking like the One True Replacement. Here's why: an RSS reader fundamentally needs to be a good and efficent index, and only an index. The RSS reader should not be a magazine. Even though Feedly has made a lot of efforts to give users an (optional) index-style interface, it can't fully shake the we-want-to-present-you-a-dynamic-magazine mentality that most of these RSS readers are mistakenly trying to present. Even when doing all of the "here's how to make Feedly more like Reader" steps, you can't shut off some of the graphic driven pages that I neither want nor are willing to accept, given new options like commafeed. Cannot agree more about magazine view though. Layout could be better and disapearing "Mark as read" links make it nigh unusable. Thankfully, after couple clicks in settings, you never actually have to see it. Will check other tools anyway, at least to have feeds backed with different provider as there is no such thing as seamless migration. I like comma but there is not good mobile support right now. That is how I preffer to read my feeds for the most part. INOreader.com is much better. It really like GReader! I just tried it and I love it so far. I think I might stick to this one. Thanks! How is the search function in CommaFeed? That is absolutely critical. Can't do it in Feedly anymore.